Mark Farber, MD, and Thomas Caranasos, MD, joined efforts for an endovascular repair of aortic arch aneurysm involving the great vessels. Mark Farber, MD, and Thomas Caranasos, MD, joined efforts for an endovascular repair of aortic arch aneurysm involving the great vessels. This minimally invasive repair was performed as part of a physician sponsored IDE (PS-IDE) trial spearheaded by Farber. The procedure was life saving for the patient, who was not a candidate for traditional open repair. On March 17, Mark Farber, MD, and Thomas Caranasos, MD, joined efforts for an endovascular repair of aortic arch aneurysm involving the great vessels. This minimally invasive repair was performed as part of a physician sponsored IDE (PS-IDE) trial spearheaded by Farber. The patient was not a surgical candidate for an open repair and would have most likely succumbed to his disease without this life-saving intervention. This type of repair has only been performed, a handful of times in the US, at a few national recognized aortic centers. This procedure would have not been possible without the efforts of the aortic research team, advance practitioners, nurses, surgical members, residents, all working collaboratively in the new state-of-the-art VIR hybrid suite. 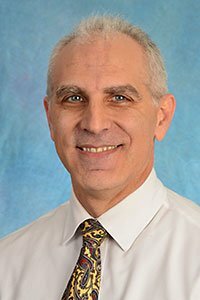 This effort is an example of the advanced aortic care at UNC available through the new Aortic Network that just a few years ago was felt to be impossible. Currently, the Aortic program sees patients on the second floor of the main hospital in the Vascular Interventional Clinic. Farber is the Medical Director of the program. The PS-IDE trial is only one of approximately five research programs of its kind in the US which include other nationally recognized aortic program such as the Cleveland Clinic and Mayo Clinic. This program is dedicated to investigating new endovascular devices to improve the outcomes of patients with aortic problems. Over the past two decades the division of Vascular Surgery has participated in over thirty phase I and II clinical trials and has treated over 2000 patients with aortic conditions. 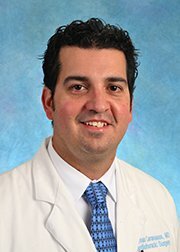 By utilizing these techniques UNC is recognized as having some of the best outcomes in the country for treating patients with aortic disease.